What does a mountain dog do when he has no sheep to guard? He guards the barn cats. 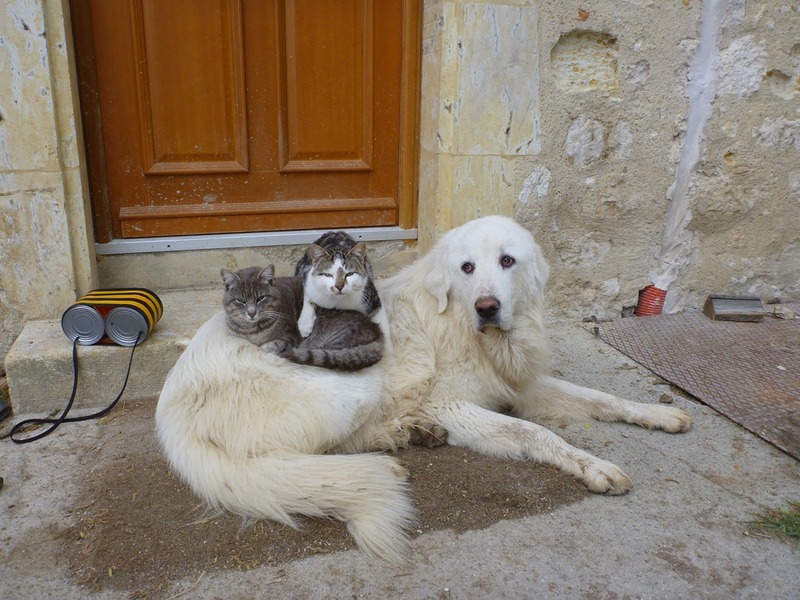 Sarah, it is hard to take a bad photo of barn cats sitting on a Pyrenees puppy. It isn’t me! Susan, the egg-thief is a wild (and fat) tabby that I’ve seen about three times. It ranges across a couple of farms.